It’s that time of year again, when we swear off carbs, late-night Netflix binges, and vow to spend every spare moment at the gym. There’s something magical about a new year and a fresh start, and even if you don’t make resolutions, it’s a great opportunity for you to assess what went well the past year and how you can improve the next. Below are my suggestions for resolutions I believe every musician should make, along with a few tips I’ve learned from making (and breaking) these. Update your press kit. Check your resume, CV, biography, discography, and all other publicity materials for mistakes and add new accomplishments. This is also a great time to get those new business cards that you’ve been meaning to…for the last sixth months. Set realistic practice goals. Vow to practice regularly – whatever that means for you. If you average 3 days a week, aim for 4 days each week. Avoid resolving to practice every single day, and avoid resolving to practice a certain number of hours every day. Both resolutions are setting yourself up for disappointment the first time you (inevitably) miss a day/session. 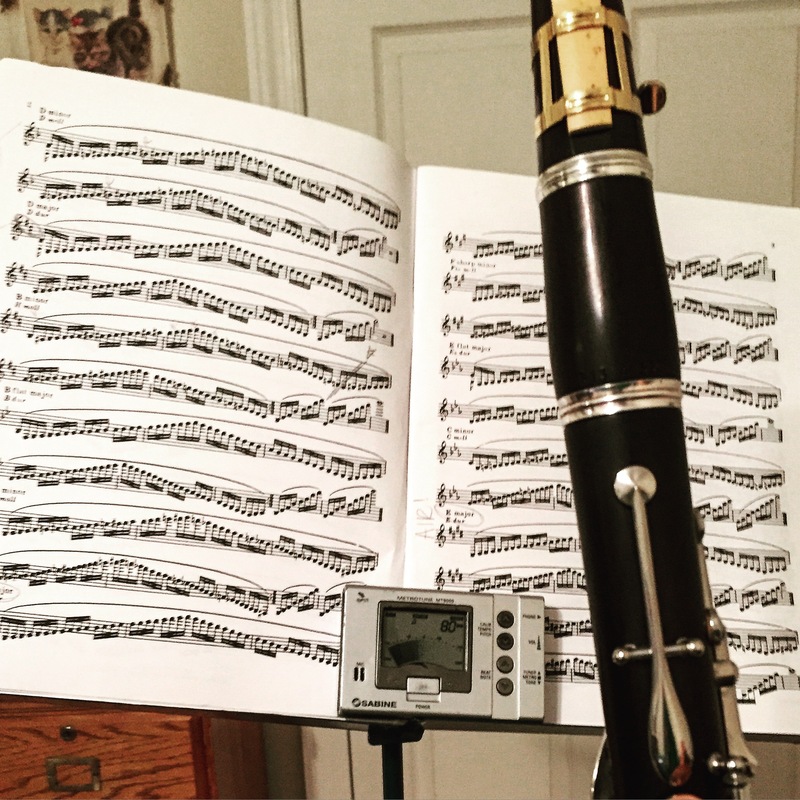 There are just some days when it’s impossible to practice 3 hours (if at all!). Make a resolution to emphasize quality of practice over quantity. Stretch before you practice. I can’t emphasize enough how important it is to treat your body well. You may be “just a musician”, but playing an instrument is physically demanding, so be sure to take care of your body before any pain or injuries occur. Take practice breaks. Taking regular breaks helps replenish your physical and mental energy. I take a 15 minute break every 45 minutes. Make a music wish list. Write down all the repertoire you would like to practice and perform this year. Brainstorm possible venues, dates, potential chamber musicians, and any other pertinent details. The more specific you are, the easier it will be to turn these goals into reality. Learn a new skill. Arranging, composing, conducting, theory, web design, recording engineering, repair technician techniques, Finale/Sibelius/other music notation software – all are very useful skills to have. Learn a new instrument. If it’s too daunting to go from trumpet to bassoon, switch to an auxiliary instrument. 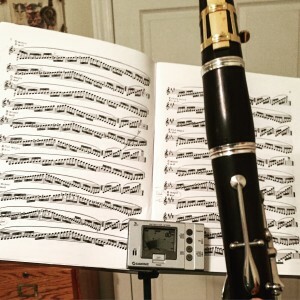 Clarinetists, dig out some earplugs and find an Eb clarinet to squeak. Saxophones, go low with a baritone saxophone. You get the idea. Find a great private teacher. If you don’t have one, what better time to start? Here is my advice for finding a great private music instructor. Get your teacher certification to teach music in schools. Play with a community band, orchestra, or other ensemble. Ensemble experience is important and also a great way to meet other passionate musicians. If you are a music teacher, have your students create realistic resolutions for the new year. A few popular suggestions with my students are learning every major scale, practicing __ number of days every week (determined by age and ability level), memorizing music vocabulary, participating in Solo & Ensemble festivals, auditioning for All State band, practicing with a metronome, etc. Keep in mind that not all resolutions have to be related to music to improve your musical skills. The most common New Years Resolutions (eat right, exercise, sleep more) are also beneficial to your musical career. Sometimes it’s just as important to prioritize a good night’s sleep over a few hours of extra practice time. Know yourself and what is most useful to you. Start small – the majority of resolutions fail because we are too ambitious at first. Start with a few smaller goals and add more as necessary. Here’s to a brand new year filled with musical happiness and cheer!